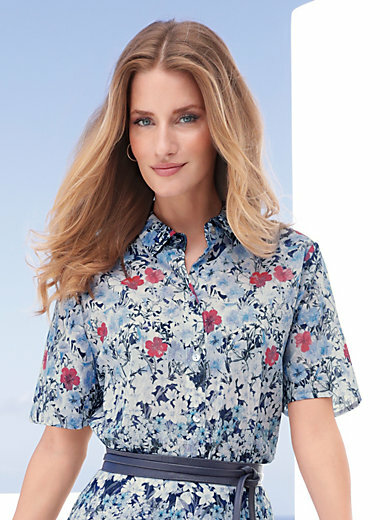 Blouse by MAYFAIR by PETER HAHN with short sleeves. Slightly tailored shirt-style blouse with full-length button facing. The cheerful and colourful floral print looks very stylish on this fine, lightweight woven fabric made of pure cotton with a crushed look! 100% cotton. Length approx. 24ins. The blouse is machine washable.